I have spent so much time in the temple that I have little practical experience dealing with people in the outside world. - Ideal: I seek to prove myself worthy of my god's favor by matching my actions against his or her teachings. - Bond: Everything I do is for the common people. - Flaw: I am suspicious of strangers and expect the worst of them. The concept appeals to the old school gamer in me. Just give me a dungeon and a lot of stuff to kill and I am a happy camper. Puzzle solving and Political intrigue are not my bag. I had reservations on the 50 gp limit at 1st level, but I still was able to equip my character well. The forming of teams. This seems that it may be cumbersome with many players.. I have played a few games here on RPG Crossing. They have all been 1st level games and usually fall apart before the character reaches 3rd level. I am hoping for some longevity. -Expected post rate. I can post every day or every other day..
Last edited by ShinobiMaster123; 06-03-2017 at 03:17 AM. Let's see if I can get in under the wire on this one. Zula is currently living a lie. She grew up in a quiet life in a town uncomfortably close to a border skirmish. She was betrayed by the woman she had fallen in an uneasy love with. This woman, Saffran, was part of a highly respected warrior order called the Duskwalkers. Through Saffran's inaction, her son was killed and her home ransacked by beasts. In a rage, Zula took Saffran's life. Dusk Walkers are respected and revered because they are meant to literally give their life for the good of their nation. They spend their entire adult life in service to the citizens, have no worldly possessions, are allowed no family, and practically have no identity other than their rank in the order. Killing a Duskwalker is a capital offense in Zula's home territory and she knew someone would come asking. So, instead, she replaced her. She took her vestments, an animal skull mask, hood, and sash, and fled. Zula now travels in Saffran's stead, attempting to get farther away from her home country before they inevitably discover her deception. What about this game concept appeals to you: Fast pace, I'm new to the site so it seems like a good opportunity to get my feet wet. Is there anything about the game concept that doesn't necessarily appeal to you: I wonder if it wouldn't be a bit chaotic but, like I said, new to PBP so I can't really be a good judge. Any questions you might have: Couple things. 1. Any combat house rules? Flanking, elevation, etc. 2. Do we need to worry about basic adventuring equipment? rations, etc? 3. When you say find a spot on your sheet for EXP and Currency, do you just want a line in the notes? Experience with 5e: I have been playing two tabletop campaigns for over a year, one of which just finished. I also DM a once monthly tabletop game. 5e is old hat, the pbp part is new. Expected post rate: At least once a day, more if the pace of the thread allows it. Last edited by Emmanem; 06-03-2017 at 12:20 PM. Exp/currency: I just mean that I would like a running tally on your sheet for each that "shows your work" - ie. how much you acquired/spent and when. This alleviates concerns of numbers getting fudged. UPDATE: We are now at 20 PCs for the game, so instant-acceptance is now closed for the time being. If the game concept interests you, feel free to post interest here and follow along here as much as you like. I anticipate opening recruitment up again at a later date (perhaps soon), but wanted to get the first 20 some expeditions under their belt before widening the game. Last edited by Agrudez; 06-03-2017 at 02:23 PM. Monty'r, heir to the Noble house of Korst'la, or kindly spoken by the locals as the heir of the unliving is the young and loyal son of Tera and Korst'la Fear. The Family of Fear is one of secrets, darkness, and necromancy; rulers of lands that are the very incarnation of a living breathing necropolis; masterfully masked to outsiders as a land of elvish and human beauty. Despite such a peculiar upbringing Montyr was rather unremarkable child in his noble house, he merely sought to exceed his necromantic mother and vampiric fathers expectations, though never felt like he could. Stuck in the comforts of his noble house Montyr dabbled and was taught the basics of wizardry and necromancy by his mother, but time and time again was proven by his father that teaching and experience are two very different things. So by the age of 19 he had decided to take his father's advice and set out in the world to prove himself by becoming powerful enough to create a kingdom greater than that of Farstone in which his noble house was a part of. Though initially this had proven difficult, upon leaving the noble lands the enchantments and illusions that kept it masked from mortals took all memory of his homes dark history from him, resulting in loosing every memory of the limited necromantic power he once had; simply put, upon leaving he knew no differently of it than any other noble in the kingdom. As a result it was difficult to find friends and make connections with locals as it was commonly whispered that he might be a thrall of a vampire due to his unusually pale skin. One of the problems I find is the fact most d&d games seem to be Weekly or Bi-Weekly. I understand the necessity, but where is the fun in that? I'm a fan of a good story/theme so that's a slight let down, though don't get me wrong. Sandboxes are fine, but if it's a sandbox 5e doesn't do a good job to accommodate it. Thus the only good sandbox is one to level up a character, or one that allows Homebrew elements. To what extent are homebrew elements allowed? I ask because I took a 3.5e trait that fit my characters background and converted it to 5e. 3 mock fights, character built from scratch, otherwise fresh out of the grave. Depends on how fast the DM replies once started, rather flexible time table at the moment. So it could be anywhere from 1+ to 50+ depending on the rate of replies between 2pm and 2am CST. Last edited by Doomedsinner; 06-08-2017 at 04:20 AM. The game is going strong with over 1600 posts in the forum in 12 days. There are currently 4 groups out in the dungeon - some already on their 2nd expedition - with most at or very near to lvl 2 - and games in general are progressing 3-4 rounds of combat per day with enthusiasm on both sides of the PC/DM equation. As such, I'm prepared to re-open recruiting for 5 more applicants. What kind of duration to you expect from this particular campaign style? I can commit to multiple times per day. The Warhammer Quest vibe. I loved the game and played it to death as a kid. Ive also started running a game IRL, and could use some experience with encounters and dungeons etc, so Ill be keeping an eye out to see what works in terms of the difficulty of challenges etc..
Ive played it a bunch, started DM'ing now and it seems to be going well. Q&A What about this game concept appeals to you? The fast pace. Experience with 5e. Played for a few months IRL. DMed a single-shot once. Playing in a few pbp currently. Last edited by Mizhi; 06-18-2017 at 12:30 AM. - Having the power to decide how far our team wants to go. - No main plot to worry about. - Not that I can think of right now. - How is death handled in this game? Do you get to revive or do you need to create a new character? Any penalties? - I am in Endless Arenas, so there's that. Beside that, I think I might have done one or two games on this site a while ago that were 5e.. None of them got too far. I do have 8+ years of experience in 3.5e though. - At least 1 a day. If the pace is indeed really fast. I can do more. Last edited by MaxFury86; 06-18-2017 at 04:12 AM. I am always waiting for the next post of the current PBP I am in. Once I get into something I like to see it to the end unless it ends me first. I am playing IRL at the moment and have a couple of PBP going. Have only been playing for a year but have read a lot of material. I will post as much as I can depending on the post rate of my teammates. I am concerned that my timezone would be a factor when I have my busy days at work and on weekends. At least twice a day. We're back at 20 again and humming along so applications are closed once more. Please continue to feel free to post interest as that will get you a first slot when they re-open again. Thanks! Recruitment is back up - looking for 2 new PCs to join the game. We currently have 19 active members and the game is averaging over 150 posts per day. This is a very unique experience - and if you enjoy combat and want a fast paced game then I invite you to join us. The chance of dying, I guess, but I'm sufficiently intrigued to try, and I've seen you handle things XP Also that there's probably no chance of backstory dredging, but then again, this isn't that kind of game. None that I can think of. 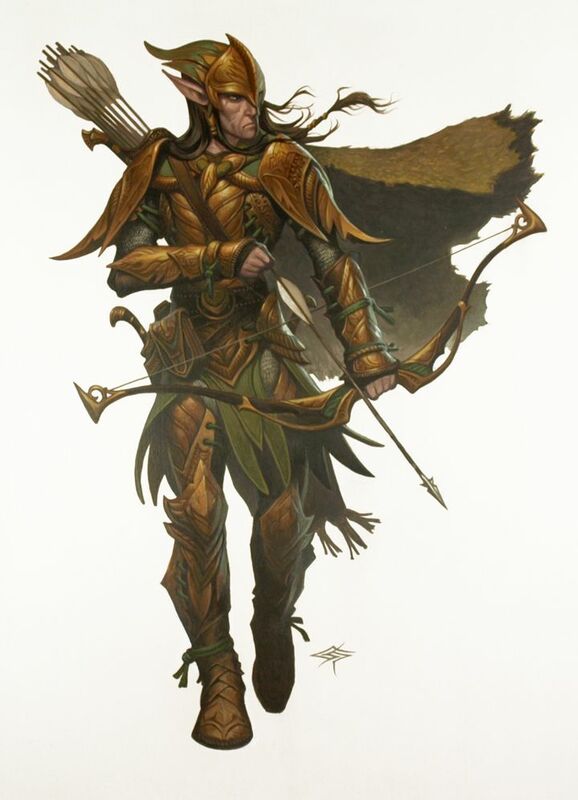 I've already asked if you'd allow crossbows and bolts to work with the UA Arcane Archer's abilities. Playing in your campaign at the moment, in a Roll20 group, and some more. While I've only started last year, I think I have the hang of it? I'll try at least once a day. Update: The gate just celebrated its 5000th post this weekend after only being operational for a little over a month (we've also had our first mini-boss taken down, our first successful large scale PvP arena battle completed and a slew of other interesting things going on of late). We have a tremendous community of 20 adventurers humming along nicely, but we want to expand beyond even that. As such, I sought and found a Co-DM so that we can start running even more dungeons - and, thus, recruiting is once again fully open! This really is a unique experience - and the more the merrier! Last edited by Agrudez; 07-09-2017 at 11:32 PM. What about this game concept appeals to you? from the explanation received I believe this is exactly what dnd was meant for. A MMORPG pre Computer with infinite flexibility is still a concept ahead of its time. Any questions you might have? When can I start! Expected post rate I can do up to 100 times a day if needed. Last edited by Xbow; 07-11-2017 at 06:35 PM. Reason: Tweaking.